Having spent the last couple of weeks in Antarctica, Tânia Casal, ESA Earth Observation campaign coordinator, is about to head home after contributing to the CryoVEx/KAREN field campaign – contributions that not only involve science, but also cleaning the loos. 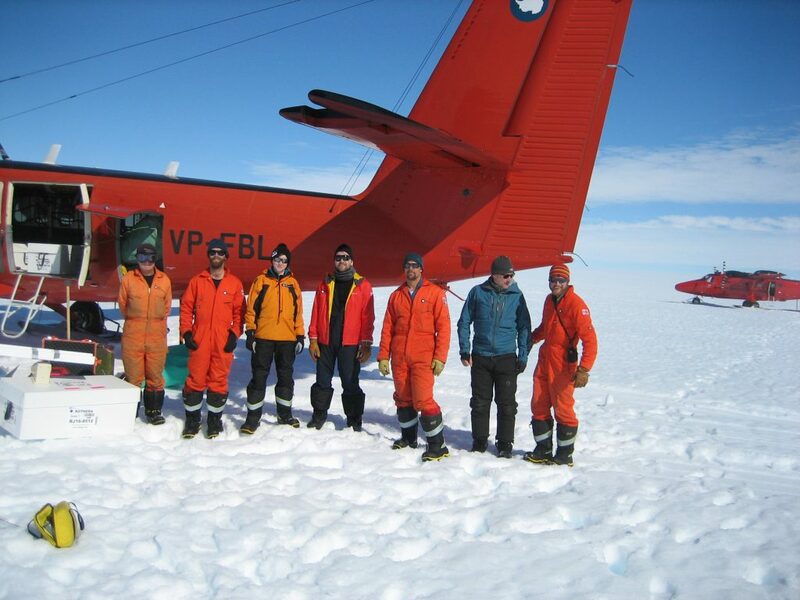 The campaign, which involves taking measurements from aircraft and on the ice, is helping to develop new space technology to understand Earth’s changing ice. With the flights completed and the ground team back at the British Antarctic Survey Rothera station, Tânia reports that the campaign is pretty much finished now. Many of the flights were coincident with the CryoSat satellite orbiting above, which means that measurements from space can be compared with measurements taken from the aircraft. Some of the flights were also coincident with the French-Indian AltiKa satellite. The two satellites both carry radar altimeters, but use different bands. CryoSat uses the Ku-band (around 2.2 cm) and AltiKa uses the Ka-band (around 8 mm). The aim of the field campaign is to understand how a two-wavelength radar altimeter could offer continuity and improve the current single-wavelength measurements provided by CryoSat. Campaigns in remote and hostile parts of the world like Antarctica don’t always go entirely to plan. For example, the plan had been to fly over to the BAS Sky Blu station, but bad weather prevented this. And unfortunately Tânia Casal didn’t manage to get out into the field because one of the aircraft needed some maintenance and then bad weather struck. Nevertheless, she was able to take measurements around the Rothera station and went out to sea to help the oceanography team take water samples. It’s all hand on deck at the station, so when not ‘doing science’ you are expected to help out at the camp and take a turn on cleaning duty – Tânia says cheerfully says this involved doing a lot of washing up and even cleaning the toilets. So, not all glamour then!